In-House vs. 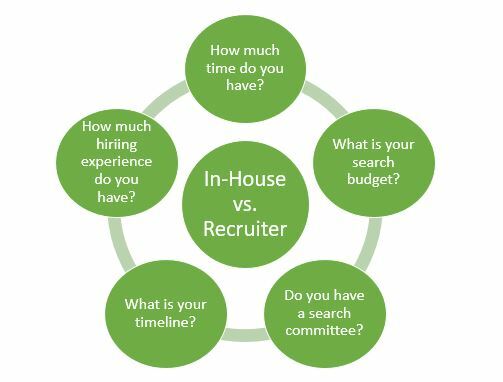 Recruiter: Five Questions to Ask About Your Search – Giving Tree Associates, Inc. If this sounds foreign or even just overwhelming, it may make sense to hire a search firm to manage this process and perform these duties, as an involved search will definitely take you away from your day to day duties on a regular basis until the position is filled. 2. What is your search budget? Many organizations assume they cannot afford to hire a firm to manage their search. For some this might be true – but for others, the cost is affordable given the time they save on performing search functions and the expertise they gain given the recruiter’s network and experience. Firms performing a “retained search” will charge a percentage of the annual first year compensation for the position (typically about a third) or a flat fee for the search. They typically operate on an exclusive basis, meaning the job will only be filled through this recruiter. A “contingency search” is a service performed by a recruiter that goes unpaid until a candidate actually accepts the organization’s offer. In this case, there is more risk to the recruiter than to the organization. Either way, the organization must dedicate a budget to the search. Last, some firms will perform search functions for a client on an hourly basis. This is helpful to organizations who need some assistance, but may not be able to afford a fully retained or contingency search. 3. Do you have a search committee (with time on their hands)? Organizations searching for the nonprofit’s top professional position may count on a group of board (or board and non-board) members to organize and manage their search. This group is typically deemed a “search committee” and may be made up of as few as two or three members or as many as ten or twelve, depending on the size of the organization. Search committees dedicate a considerable amount of time and energy to the search – making use of their own personal and professional networks to source candidates, review resumes, interview and check references. 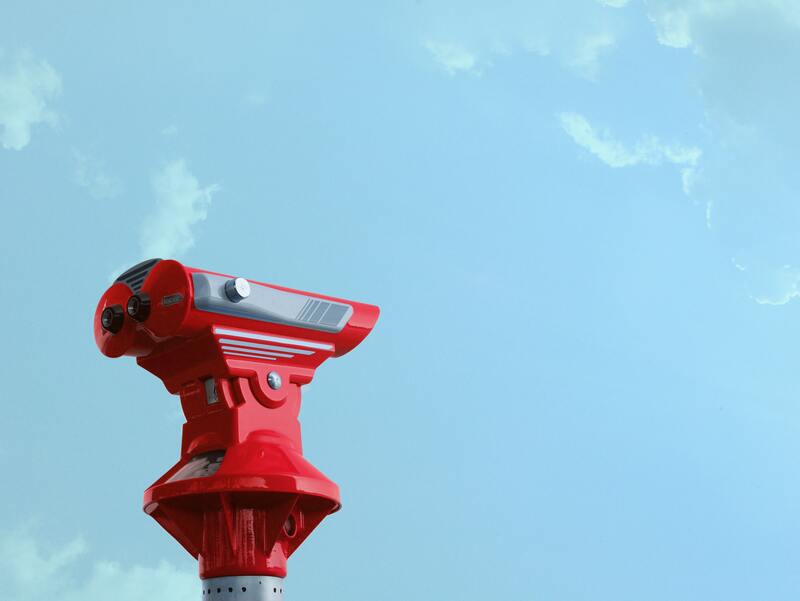 Some search committees partner with a recruiter to manage their search, and others are able to pool time and resources to conduct the search on their own. Either way, a search committee is a valuable resource in the search process. Another question to consider is the search timeline. Search firms tend to fill nonprofit executive positions within 3 – 6 months. Again, this timeline depends heavily on the type of organization, the position, the salary and geography. 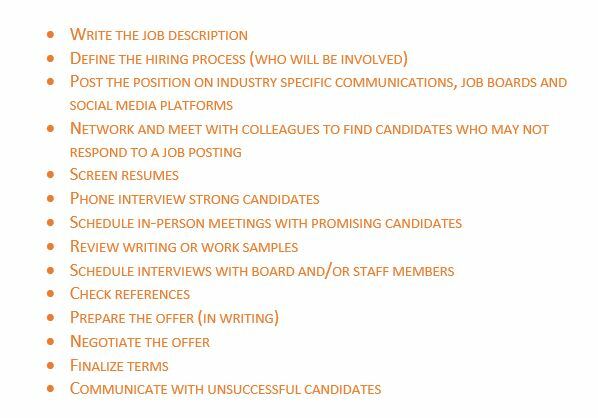 Organizations who conduct searches on their own find that it may take longer to find the right candidate. This is true mostly due to the fact that the professionals or volunteers managing the search generally have competing responsibilities that pull them away from search functions. If time is not a critical factor in your search, it may be possible for your team to find an excellent candidate on its own. 5. How much hiring experience do you/does your team have? The last thought to consider is simply this – do you know what you are doing?? 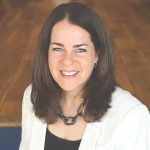 If you have not hired before in this field, have no sense of the marketplace, do not have a strong network of colleagues and resources, and are unsure about your interviewing skills, filling an executive level position in the nonprofit sector can be tough. If, on the other hand, you are an experienced hiring manager with a strong network and time to dedicate to the search – try filling the position on your own. I often recommend to clients that they conduct the search internally for three months and then determine if outside assistance is needed. Bottom line – Giving Tree Associates is always here to help and we are happy to consult with you on your hiring needs! If you are interested in engaging with a search firm, check out this week’s freebie for some useful questions to ask your prospective search partner. Also, I hope you will tune in next Tuesday, June 5 at 2 pm when I share thoughts and answer questions about recruiting great talent, including executive searches, and managing fundraising campaigns live on Facebook. In two weeks, please join me for a conversation about how to write a good job description. There is a lot to be learned about the art of crafting this important tool in your search!